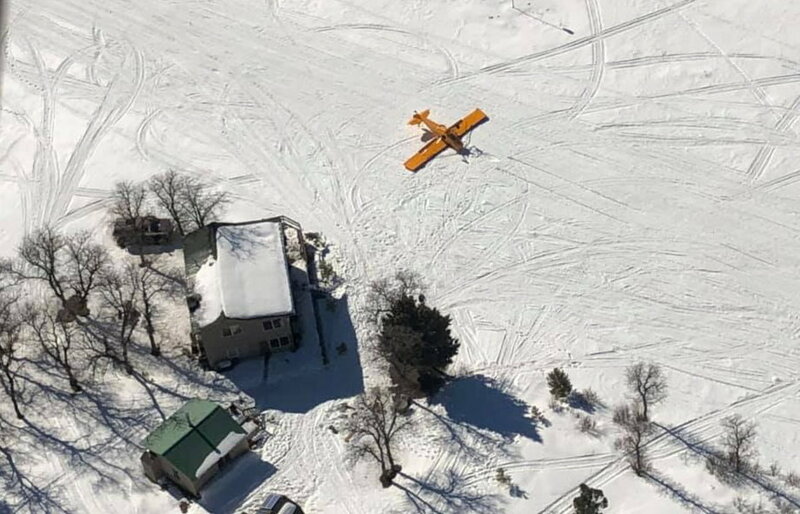 ST. GEORGE — Two people were able to walk away from a plane crash in a remote part of Washington County Friday afternoon. Around noon, the Washington County Sheriff’s Office was alerted to a distress call from an emergency locator transmitter indicating that had been a plane crash, Sgt. Darrell Cashin said. The distress call was coming from a part of Washington County that was northeast of Zion National Park near the Kane County border. “It’s a very remote part of the county,” Cashin said. The Sheriff’s Office estimated it would take up to three hours or more to reach the area and, without knowing the condition of the plane’s occupant, it was time they weren’t willing to waste, Cashin said. 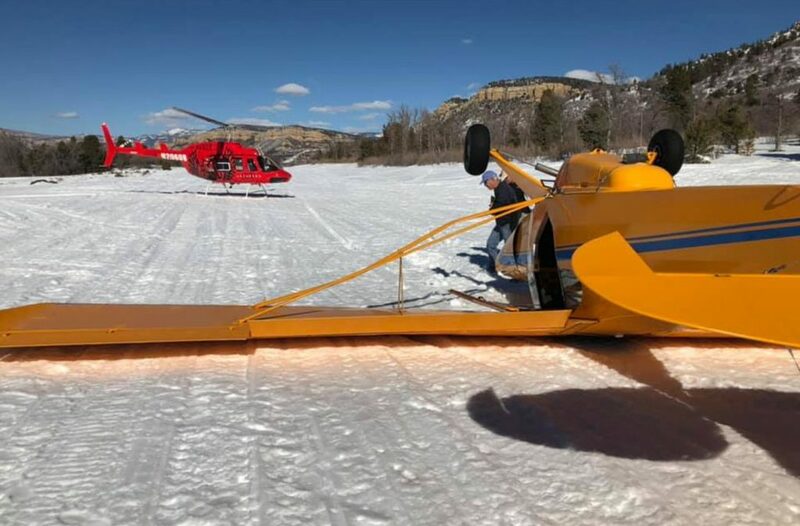 That prompted a call to the Iron County Sheriff’s Office, which hooked up with Southern Utah University’s aviation program to take a helicopter to the crash site. Meanwhile, an emergency contact attached to the emergency transmitter turned out to be the pilot’s wife, Cashin said. She said her husband and a friend had flown out of Sky Ranch in Hurricane toward a private airfield. The Sheriff’s Office then received a call from a friend of the pilot who had taken his own plane out to conduct a search. 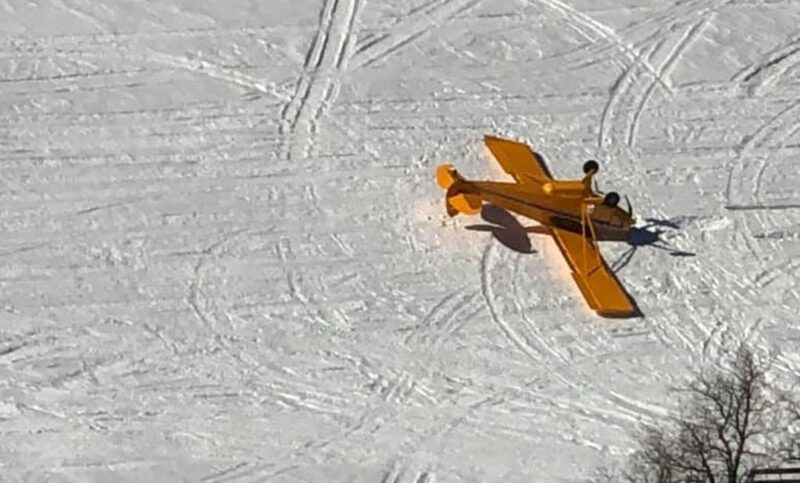 He reported that he found the plane flipped on its top on the snow-covered airstrip and two people below walking around, Cashin said. The plane had apparently flipped during a landing attempt. That was seven minutes before the helicopter out of Iron County arrived and took the pilot and his passenger back to Hurricane. 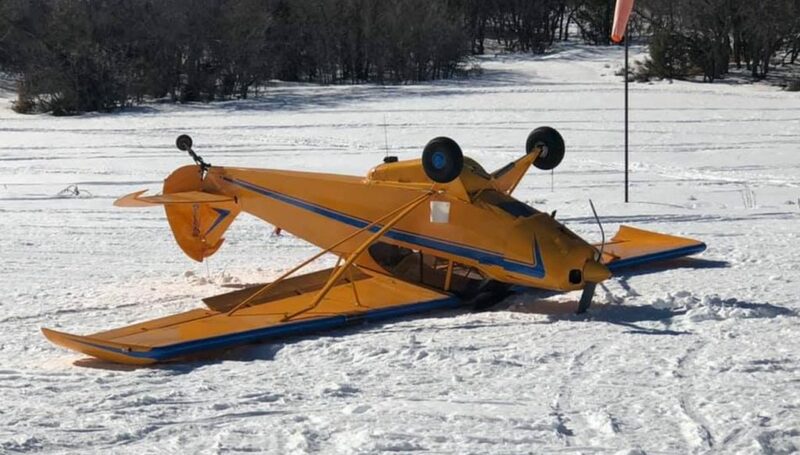 The Iron County Sheriff’s Office posted about the incident on Facebook and said that it’s “great partnership with SUU aviation paid off big” that day. While the incident was being handled with aid out Iron County, Cashin said the Washington County Sheriff’s Office was contacted by state and federal agencies that also received the distress call and were ready to help if needed. “Everybody was ready and willing to pitch in,” he said.